As the Midwest Institute for Opera gets ready to open its summer season, I sent co-artistic director Tracy Marie Koch a few questions, to get a little background on what MIO is and what we can expect in their 2016 productions. Tracy's husband, John Koch, a professor in Illinois State University's School of Music, is her co-artistic director. Can you tell us a little about your background and your husband's, in terms of how you met and how you started your opera careers? John and I met while I was in college at ISU. He was my first voice teacher and was the first person to show me the beauty of opera. I wanted to be a musical theater performer but my voice developed into a dramatic soprano sound. He sent me home from a lesson one day to listen to Puccini’s La bohème and I was hooked. What brought you to Bloomington-Normal to start MIO? After leaving ISU I went to Northwestern University for my Master’s Degree and after completing it, we decided to make our permanent home in Bloomington-Normal. As I grew as a performer, I realized the "business" of opera was not preparing artists fully for performing careers. Singers needed a place where they could hone their skills and perform full opera roles in their original language. Opera companies will not hire you unless you have done the role somewhere else first. They need to trust you. So we started MIO in 2010 to be a place for emerging artists to grow and learn under seasoned professionals. What can you tell me about MIOperatunities? Is that something new for MIO? As the company continued growing we added the MIOperatunities program in 2014 because we wanted to give the community access to this art form that is not normally accessible in the area. 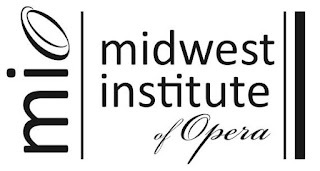 Currently we are the only opera company operating between Chicago and St. Louis. And we wanted the kids to experience this art form! They are our future audience and it is a great way to expose them to dance, drama and music since opera uses all of these elements. So we offer a free matinee of one of our operas to kids, senior citizens, people with special needs and families. This year our production is Humperdinck’s Hansel and Gretel. This production also features our MIO Children’s choir that we introduced into our program in 2014. It is great to see other kids on stage and think "I can do that, too," and then get involved in the arts. The Hansel that is performing on our MIOperatunities Matinee is actually 17 years old and will be a senior at Normal Community West High School. His name is Caleb Killingsworth, and this is an amazing opportunity for him to work with professionals and to perform in an opera! You will not want to miss his performance. We are happy to be his first experience performing in an opera. MIOperatunities also provides performance opportunities year round for children between the ages of 7 to 18. This includes Madrigal performances in December and participation in our summer opera season and show choir. MIOperatunities is partially funded by the Illinois Prairie Community Foundation Grant and the Town of Normal Harmon Arts Grant. What else is on your schedule this summer and who is involved? We have Metropolitan Opera star Heidi Skok, mezzo soprano, performing in our production of Poulenc’s Dialogues of the Carmelites and to watch her performance is just riveting. She possesses a lush, rich mezzo and is a true singing actress. I met her in New York City and she was my voice teacher. It has been really fun and inspiring to direct her. Our Falstaff is being led by the amazing conductor Lucy Arner from the Metropolitan Opera. And the baritone singing the title role is the talented Joshua Conyers. We hired him a week ago because our original Falstaff was in in an accident and could not come to do the show. Joshua just finished covering the role at Des Moines Metro Opera and is on the cusp of an international career! You will not want to miss his voice or his colleagues' voices in this production. What roles do you and John play within the company? John and I both do the behind-the-scenes work as administrators and on stage as director and conductor. John and I are both working on Dialogues of the Carmelites as a joint partnership, with John as conductor and I as director. It has been fun blending our vision of the work to make it our own. In their summer schedule, detailed below, Music at the Manor will take place at the Ewing Cultural Center, with the three opera performances in the Concert Hall at the Illinois State University Center for the Performing Arts. Music at the Manor is offered for free, although donations are certainly appreciated, while tickets for Dialogues of the Carmelites and Falstaff are $10 for adults and $8 for senior citizens or children under 10. MIO accepts cash or check at the door prior to performances. For details on their schedule, see this Facebook event listing. For more information on other aspects of MIO, check out this interview Tracy and John did with WGLT, this Pantagraph article about star Heidi Skok, or this piece about ISU senior and opera coach Lauren Koszyk. This is an ambitious program and I wish them well! They're doing an interesting variety of works, and all three should be enjoyable.